In diverse application fields, the increasing requisitions of Wireless Sensor Networks (WSNs) have more and more research dedicated to the question of sensor nodes’ deployment in recent years. For deployment of sensor nodes, some key points that should be taken into consideration are the coverage area to be monitored, energy consumed of nodes, connectivity, amount of deployed sensors and lifetime of the WSNs. This paper analyzes the wireless sensor network nodes deployment optimization problem. Wireless sensor nodes deployment determines the nodes’ capability and lifetime. For node deployment in heterogeneous sensor networks based on different probability sensing models of heterogeneous nodes, the author refers to the organic small molecule model and proposes a molecule sensing model of heterogeneous nodes in this paper. DSmT is an extension of the classical theory of evidence, which can combine with any type of trust function of an independent source, mainly concentrating on combined uncertainty, high conflict, and inaccurate source of evidence. Referring to the data fusion model, the changes in the network coverage ratio after using the new sensing model and data fusion algorithm are studied. According to the research results, the nodes deployment scheme of heterogeneous sensor networks based on the organic small molecule model is proposed in this paper. The simulation model is established by MATLAB software. The simulation results show that the effectiveness of the algorithm, the network coverage, and detection efficiency of nodes are improved, the lifetime of the network is prolonged, energy consumption and the number of deployment nodes are reduced, and the scope of perceiving is expanded. As a result, the coverage hole recovery algorithm can improve the detection performance of the network in the initial deployment phase and coverage hole recovery phase. Aggarwal A., Kirchner F. (2014), Object Recognition and Localization: The Role of Tactile Sensors, Sensors, 14(2), 3227-3266, 2014. Attea B.A., Khalil E.A. (2012); A New Evolutionary Based Routing Protocol for Clustered Heterogeneous Wireless Sensor Networks, Applied Soft Computing, (12), 1950-1957, 2012. Cajal C., Santolaria J., Samper D., Garrido A. (2015), Simulation of Laser Triangulation Sensors Scanning for Design and Evaluation Purposes, Int. Journal of Simulation Modelling, 14(2), 250-264, 2015. Cardei M. et al. (2005); Energy-efficient Target Coverage in Wireless Sensor Networks, 24th Annual Joint Conference of the IEEE Computer and Communications Societies (INFOCOM 2005), Miami, 1976-1984, 2005. Chen J., Du Q., Li X., Ding F. (2012), Research on the Deployment Algorithm of Heterogeneous Sensor Networks Based on Probability Model, Journal of Chinese Computer Systems, 2012, 33(1), 50-53, 2012. Dezert J. (2002); Foundations of a New Theory of Plausible and Paradoxical Reasoning, Information and Security Journal, 13(9): 90-95, 2002. Dezert J. et al. (2006); Target Type Tracking with PCR5 and Dempster's Rules: A Comparative Analysis, Proceedings of Fusion 2006 International conference on Information Fusion, Firenze, Italy, 2006. Du X., Sun L., Guo J., Han C. (2014), Coverage Optimization Algorithm for Heterogeneous WSNs, Journal of Electronics and Information Technology, 36(3), 696-702, 2014. Duan H.Y. (2016); Research on Collaboration in Innovative Methods of Manufacturing Innovation Chain, Iberian Journal of Information Systems and Technologies, E11: 292-303, 2016. Fichera A., Frasca M., Volpe R. (2016), On energy distribution in cities: a model based on complex networks, International Journal of Heat and Technology, 34(4), 611-615, 2016. Halder S., Bit S.D. (2014), Enhancement of Wireless Sensor Network Lifetime by Deploying Heterogeneous Nodes, Journal of Network and Computer Application, (38), 106-124, 2014. Hassan A.R., Gbadeyan J.A. (2015); A reactive hydromagnetic internal heat generating fluid flow through a channel, International Journal of Heat and Technology, 33(3), 43-50, 2015. Hong Z., Yu L., and Zhang G. (2013); Efficient and Dynamic Clustering Scheme for Heterogeneous Multi-level Wireless Sensor Networks, Acta Automatica Sinica, 39(4): 454-464, 2013. Huang S., Cheng L. (2011); A Low Redundancy Coverage-enhancing Algorithm for Directional Sensor Network Based on Fictitious Force, Chinese Journal of Sensors and Actuators, 24(3): 418-422, 2011. Jing H.C. (2015), Routing Optimization Algorithm Based on Nodes Density and Energy Consumption of Wireless Sensor Network, Journal of Computational Information Systems, 11(14), 5047-5054, 2015. 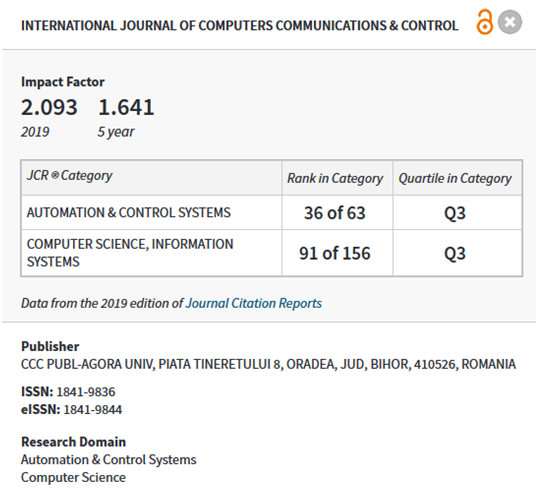 Jing H.C. (2015), Node Deployment Algorithm Based on Perception Model of Wireless Sensor Network, International Journal of Automation Technology, 9(3), 210-215, 2015. Jing H.C. (2014), Coverage holes recovery algorithm based on nodes balance distance of underwater wireless sensor network, International Journal on Smart Sensing and Intelligent Systems, 7(4), 1890-1907, 2014. Kashi S.S., Sharifi M. (2012); Coverage Rate Calculation in Wireless Sensor Networks, Computing, 94(11): 833-856. Kumar D., Aseri T C, Patel R B. (2009); EEHC: Energy Efficient Heterogeneous Clustered Scheme for Wireless Sensor Networks, Computer Communications, 32, 4, 662-667. Li M. (2011); Study on Coverage Algorithms for Heterogeneous Wireless Sensor Networks, Ph.D. dissertation, Chongqing University, 2011. Li Q., Ma D., Zhang J. (2014); Nodes Deployment Algorithm Based on Perceived Probability of Wireless Sensor Network, Computer Measurement and Control, 22(2), 643-645, 2014. Li Q., Ma D., Zhang J., Fu Z. (2013); Nodes Deployment Algorithm of Wireless Sensor Network Based on Evidence Theory, Computer Measurement and Control, 21(6), 1715-1717, 2013. Li M., Tang M. (2013), Information security engineering: A framework for research and practices, International Journal of Computers Communications & Control, 8(4), 578-587, 2013. Moreno-Salinas D., Pascoal A., Aranda J. (2013), Sensor Networks for Optimal Target Localization with Bearings-Only Measurements in Constrained Three-Dimensional Scenarios, Sensors, 13(8), 10386-10417, 2013. Moradi M., Rezazadeh J., Ismail A.S. (2012), A Reverse Localization Scheme for Underwater Acoustic Sensor Networks, Sensors, 12(4), 4352-4380, 2012. Sengupta S. et al. (2013); Multi-objective Node Deployment in WSNs: in Search of an Optimal Trade-off among Coverage, Lifetime, Energy Consumption, and Connectivity, Engineering Applications of Artificial Intelligence, 26(1), 405-416, 2013. Smarandache F., Dezert J. (2006); Advances and Applications of DSmT for Information Fusion, Rehoboth: American Research Press, 2006. Smarandache F., Dezert J. (2005); Information Fusion Based on New Proportional Conflict Redistribution Rules, Proceedings of Fusion 2005 Conference, Philadelphia, 1-8, 2005. Tang M., Li M., Zhang T.(2016), The impacts of organizational culture on information security culture: a case study, Information Technology and Management, 7(2), 179-186, 2016. Xu L., Li C., Jun Y. (2014), Multi-objective Strategy of Multiple Coverage in Heterogeneous Sensor Networks, Journal of Electronics and Information Technology, 36(3), 692-695, 2014. Zhen H., Yu L., Zhang G. (2013); Efficient and Dynamic Clustering Scheme for Heterogeneous Multi-level Wireless Sensor Networks, Acta Automatica Sinica, 39(4), 454-460.